« The cake and his b-day. It has been an interesting year so far with Ben and second grade. Ben’s birthday morning started with Ben’s teacher getting upset with Ben because he lost a packet that he was working on. Of course, she informs me of this while I’m volunteering at school in front of Ben. And it is not subtly stated because she is really upset. We will make Ben redo the packet at home. We will talk to Ben about keeping track of items. We will back the teacher 100%. I just wish she realized that we are on her side. Anyways . . . Ben’s birthday cupcakes went off without a hitch. 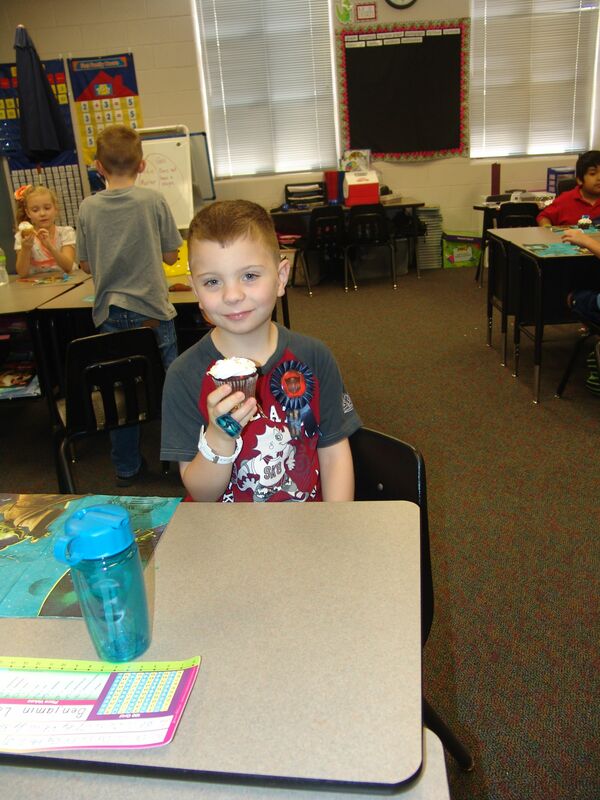 He loved the cupcakes. He loved sharing with his friends. It was a good day.